For many of us, childhood memories are made of hours spent sifting through our mother’s (and grandmother’s) cupboards; which to our eyes seemed like veritable labyrinths of saris and fabrics in myriad styles, hues and textures. We have grown up with jamdanis, ikats, Chanderis and Benarasis, and regular visits to the tailor who would obligingly whip up a suitable blouse in the latest fashion to accompany each one. In India, for most of us these things are part of our vocabulary, but in their authenticity, they have the ability to strike a chord even among those for whom they are not. 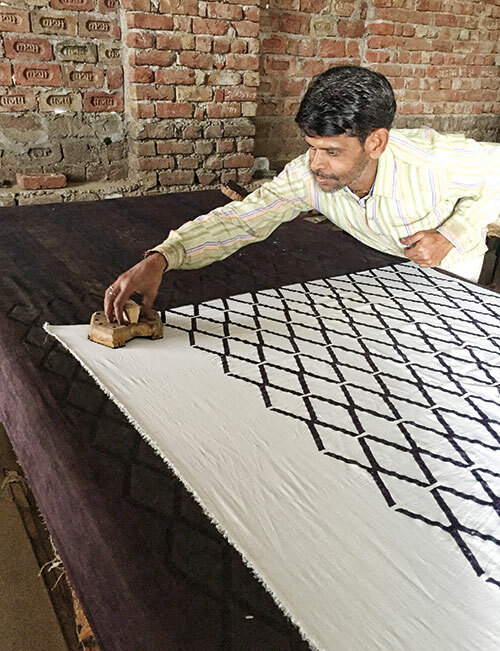 But in spite of being part of our cultural fabric, it has often taken the eye of an outsider, impressed by the techniques they encounter while passing through the country — think of Fabindia or Rehwa Society — to remind us of their timeless beauty. A growing crop of designers and organisations overseas — Seek Collective, Block Shop, Maiyet, Behno, KITX and Nest, to name a few — have been creating an environment of cross-continental exchange. 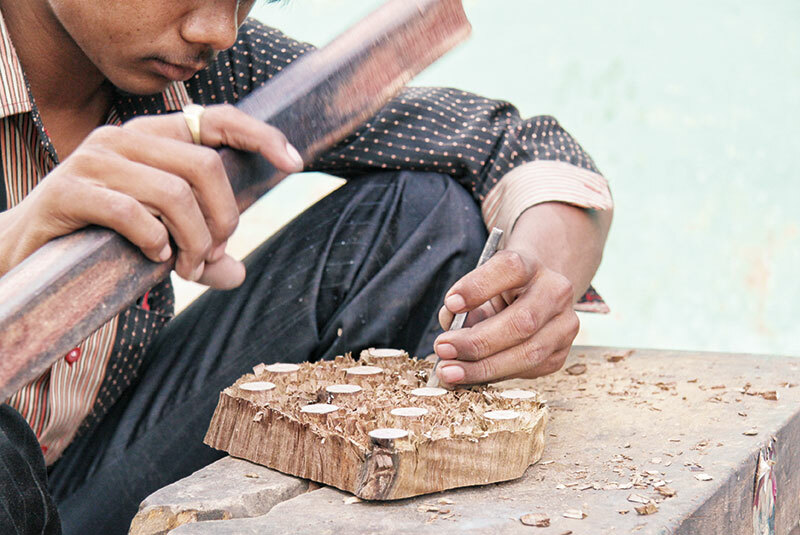 Rather than sourcing materials and finished garments from nameless, faceless vendors, they collaborate with artisans to create socially-responsible businesses. We speak to some of these labels that are navigating this process in a mindful and sustainable way. 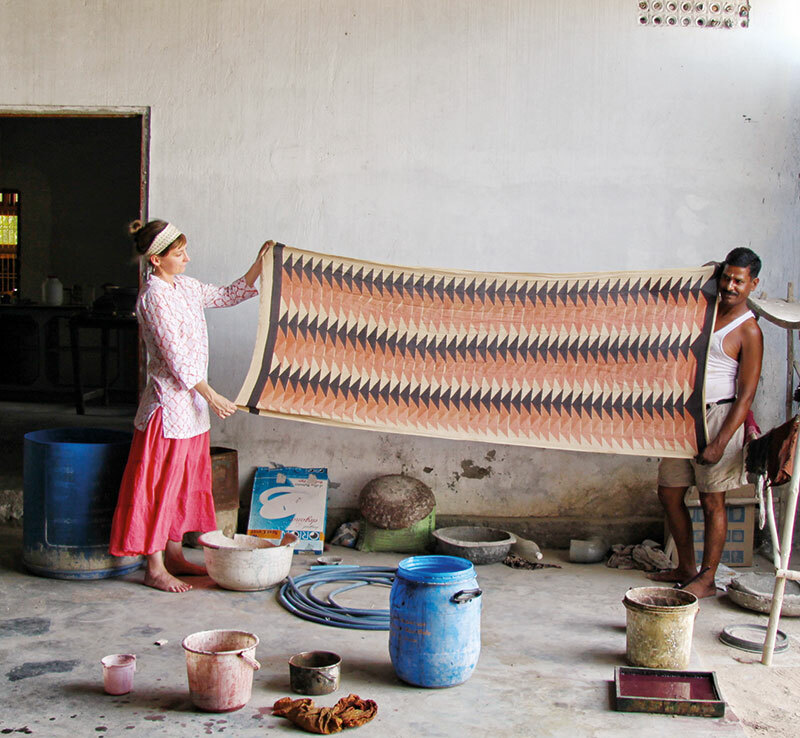 Australian brand KITX partners with Varanasi Loom to Luxury and Nest. 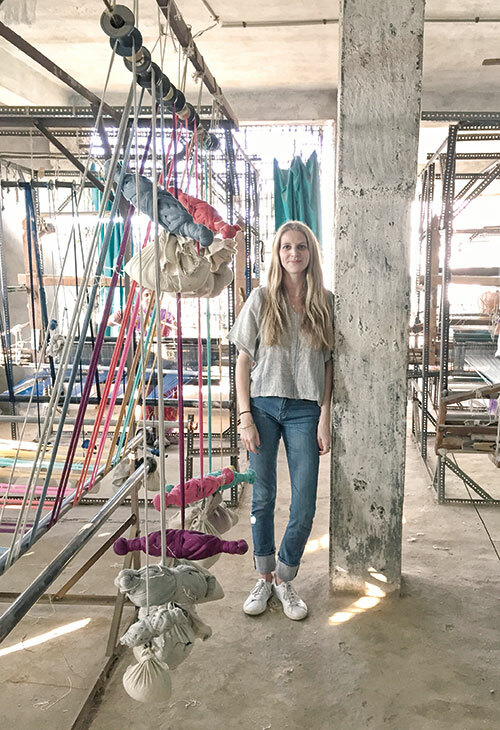 The Los Angeles-based Block Shop Textiles, co-founded by sisters Hopie and Lily Stockman, started out as an art project in 2010, when, “Lily moved to Jaipur for a painting apprenticeship while her husband was there on a Fulbright Scholarship. 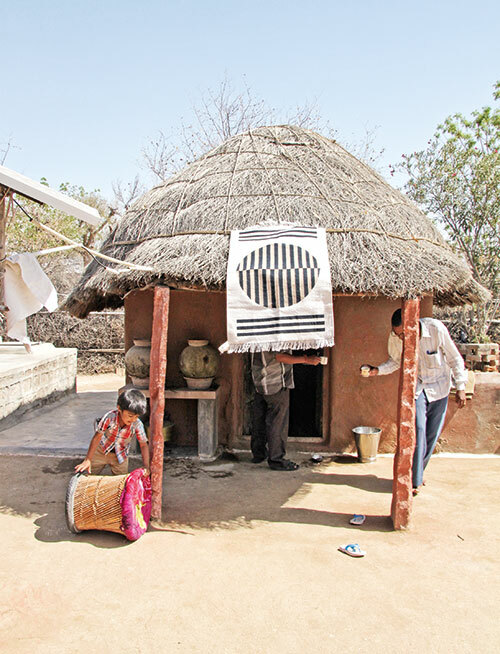 She started researching natural dyes and traditional block printing, and a textile historian friend introduced her to Vijendra Chhipa (Viju) and his family; fifth-generation printers living outside the city,” explains Hopie. 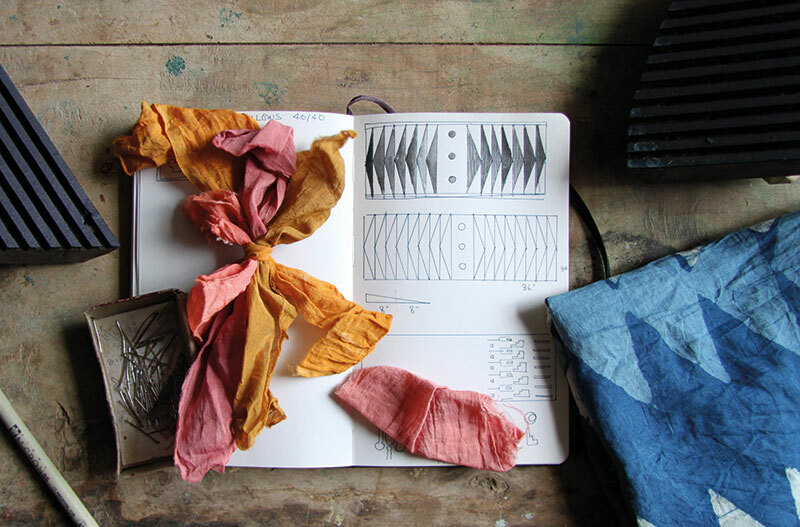 Fascinated by their use of natural dyes, Lily worked on a series of large format block prints. Later, Hopie visited Bagru, Rajasthan to see it all for herself, and in 2013 Block Shop was born. Starting with scarves, they now sell a range of cushions, baby quilts and have also begun producing dhurries. 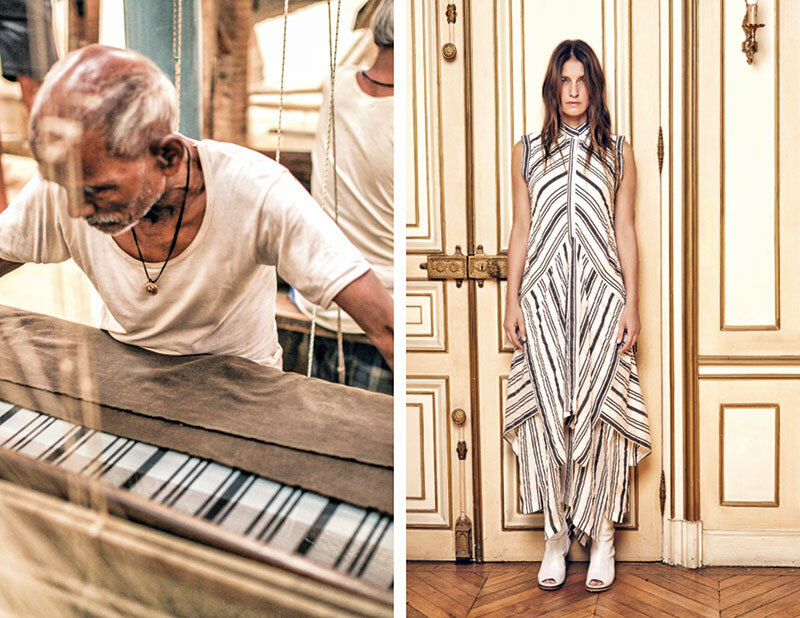 “Our patterns are rooted in the places we love, so our inspiration ranges from the marble mosaics of Rajasthani architecture to the warm palette of the Mojave Desert here in California,” shares Lily, emphasising that their label “does not exist without Bagru, or our entire team of carvers, printers, dye-mixers, dhobiwallahs and their families. I cannot imagine our company as anything other than a family business: Hopie and I are devoted to the Chhipas and our collective vision for Block Shop and, in turn, the future of Bagru.” Adds Hopie, “We spend more time with Viju’s kids, Yash (13) and Chehika (9), than our own relatives. We span two continents and these relationships are what make our work meaningful.” Their community manager Sonia Jain helps to manage orders, liaise with artisans, ensure fair wages and develop the community health initiatives that are integral to the company. From providing glasses, cataract surgeries and even clean water solutions for the cooperative, they have also been running a support group for women and children every month for almost a year. ‘Having seen the crucial importance of entrepreneurship and job creation to stability and peace, one of the things that occurred to me was, if we could find a way of locating small businesses, growing them and making them more productive we could achieve positive developmental results, and also promote stability and dignity in places that need it most,’ explained Paul van Zyl, in an interview with a British daily. In 2011 van Zyl, a prominent human rights lawyer, entrepreneur Daniel Lubetzky and Kristy Caylor, a fashion executive who had worked at Gap on Product Red, presented Maiyet’s first collection and their vision of a ‘new luxury’. Making their debut at the high-end New York department store Barney’s, they made it clear from the start that the brand stood for quality first. Van Zyl added, ‘We are obsessively focussed on product and design…. So the brief for the team is always ‘produce something that people would buy regardless of Maiyet’s mission.’ Luxury consumers need to be compelled (by the product)’. Ari embroidery, reverse applique and handloom silk from India, batik from Indonesia, and hand-knitting in Peru and Bolivia — these are just some of the techniques that the brand has employed for its collections. ‘Human talent is equally distributed across the globe, the French and the Italians just monopolise branding. But there’s no reason why this inherent skill can’t be properly harnessed, if you give people the dignity of work, and you pay them properly, but you harness and you leverage that into a brand that stands on its own,’ said van Zyl. Maiyet relies heavily on jacquard made in Varanasi and in an effort to provide better working conditions and a permanent home for their master weavers, embarked on an ambitious philanthropic project to build a facility for them. Designed by ‘starchitect’ David Adjaye and conceptualised in close partnership with nonprofit organisation Nest and local enterprise Loom to Luxury, the atelier is conceived as a community centre that will help artisans secure their livelihoods and provide access to fair markets. The initiative reinforces the label’s ethos of ‘sustainable luxury’, where ‘we are sourcing skills and co-developing products with them that fit into our seasonal vision,’ affirmed Caylor. Aware of the dynamics of these collaborations, she finds that, “One of the biggest issues that brands and artisans encounter when navigating new sourcing relationships, is that there is a lack of understanding surrounding the confines and unique stipulations that accompany a given craft technique.” In India, Nest works with 30 artisan businesses practising everything from handloom silk weaving to organic dyeing, shibori, hand embroidery, and much more.